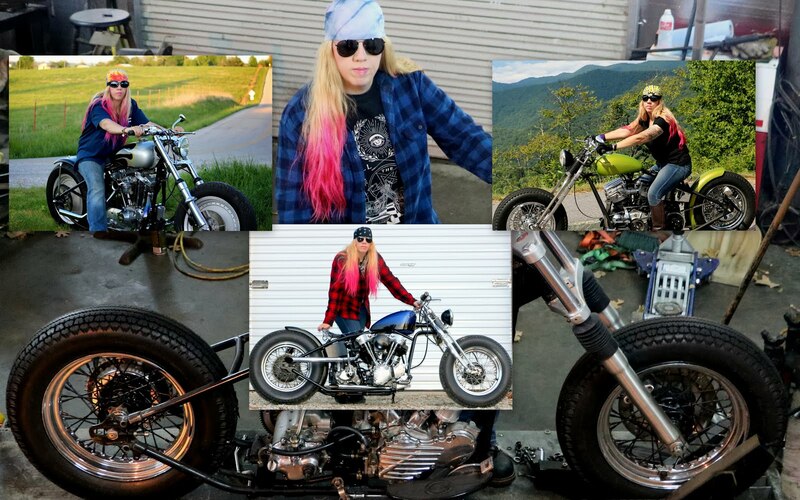 Doni Langdon at Throttle Gals has produced a calendar of girls who have cool bikes, cars, trucks or even BOATS. I am honored to be featured as the October Throttle Gal. Photo was taken in 2010 by Charlie Smith of Posters and More in Harrison, Arkansas. It is one of the RARE occasions you will EVER see me without a bandanna or knit hat on. Calendars are $10 each plus shipping and she also has two other ones available- one with guys posing which is really funny and another one of "Junkyard Jewels", old autos sitting and rusting. I try and support Doni Langdon and Throttle Gals all I can as she is doing something that needs to be done for the female gearheads like me who Do exist!